“Hezbollah is a very interesting organization,” Brennan told a Washington conference, saying it had evolved from “purely a terrorist organization” to a militia and, ultimately, a political party with representatives in the Lebanese Parliament and Cabinet, according to a Reuters report. a suspected top Hezbollah operative whom agents believed reported to Russian President Vladimir Putin as a key supplier of weapons to Syria and Iraq, was arrested in Prague in the spring of 2014. But for the nearly two years Fayad was in custody, top Obama administration officials declined to apply serious pressure on the Czech government to extradite him to the United States, even as Putin was lobbying aggressively against it. The indictment alleges Fayad, along with his co-conspirators, agreed to provide the FARC with weapons to kill U.S. and Colombian officials. allowing them to remain active despite being under sealed U.S. indictment for years. People familiar with his case say the Ghost has been one of the world’s biggest cocaine traffickers, including to the U.S., as well as a major supplier of conventional and chemical weapons for use by Syrian President Bashar Assad against his people. Hezbollah’s longtime envoy to Iran who allegedly oversaw the group’s “Business Affairs Component” involved in international drug trafficking., Hezbollah’s longtime envoy to Iran, whom they considered the linchpin of Hezbollah’s riminal network, the Justice Department refused, according to four former officials with direct knowledge of the cases. The administration also rejected repeated efforts by Project Cassandra members to charge Hezbollah’s military wing as an ongoing criminal enterprise under a federal Mafia-style racketeering statute, task force members say. And they allege that administration officials declined to designate Hezbollah a “significant transnational criminal organization” and blocked other strategic initiatives that would have given the task force additional legal tools, money and manpower to fight it. Former Obama administration officials declined to comment on individual cases, but noted that the State Department condemned the Czech decision not to hand over Fayad. Several of them, speaking on condition of anonymity, said they were guided by broader policy objectives, including de-escalating the conflict with Iran, curbing its nuclear weapons program and freeing at least four American prisoners held by Tehran, and that some law enforcement efforts were undoubtedly constrained by those concerns. But the former officials denied that they derailed any actions against Hezbollah or its Iranian allies for political reasons. “There has been a consistent pattern of actions taken against Hezbollah, both through tough sanctions and law enforcement actions before and after the Iran deal,” said Kevin Lewis, an Obama spokesman who worked at both the White House and Justice Department in the administration. Lewis, speaking for the Obama administration, provided a list of eight arrests and prosecutions as proof. He made special note of a February 2016 operation in which European authorities arrested an undisclosed number of alleged members of a special Hezbollah business affairs unit that the DEA says oversees its drug trafficking and other criminal money-making enterprises. Project Cassandra officials, however, noted that the European arrests occurred after the negotiations with Iran were over, and said the task force initiated the multinational partnerships on its own, after years of seeing their cases shot down by the Justice and State departments and other U.S. agencies. 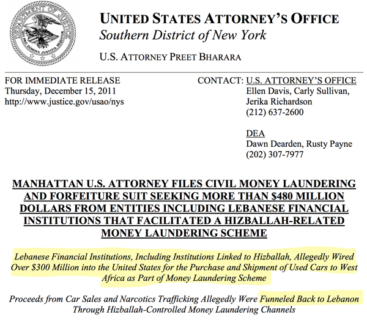 The Justice Department, they pointed out, never filed corresponding U.S. criminal charges against the suspects arrested in Europe, including one prominent Lebanese businessman formally designated by the Treasury Department for using his “direct ties to Hezbollah commercial and terrorist elements” to launder bulk shipments of illicit cash for the organization throughout Asia, Europe and the Middle East. A former senior national security official of the Obama administration, who played a role in the Iran nuclear negotiations, suggested that Project Cassandra members were merely speculating that their cases were being blocked for political reasons. Other factors, including a lack of evidence or concerns about interfering with intelligence operations could have been in play. Nonetheless, other sources independent of Project Cassandra confirmed many of the allegations in interviews with POLITICO, and in some cases, in public comments. As a result, some Hezbollah operatives were not pursued via arrests, indictments, or Treasury designations that would have blocked their access to U.S. financial markets, according to Bauer, a career Treasury official, who served briefly in its Office of Terrorist Financing as a senior policy adviser for Iran before leaving in late 2015. And other “Hezbollah facilitators” arrested in France, Colombia, Lithuania have not been extradited — or indicted — in the U.S., she wrote. Bauer, in an interview, declined to elaborate on her testimony. Veteran U.S. illicit finance expert sent from Pentagon to Project Cassandra to attack the alleged Hezbollah criminal enterprise., for one, said Obama administration officials expressed concerns to him about alienating Tehran before, during and after the Iran nuclear deal negotiations. This was, he said, part of an effort to “defang, defund and undermine the investigations that were involving Iran and Hezbollah,” he said. With much fanfare, Obama announced the final agreement on implementation of the Iran deal on Jan. 17, 2016, in which Tehran promised to shelve efforts to build a nuclear weapons program in exchange for being released from crippling international economic sanctions. the veteran DEA supervisory agent who created and led the task force, were transferred to other assignments. And Asher himself left the task force long before that, after the Defense Department said his contract would not be renewed. As a result, the U.S. government lost insight into not only drug trafficking and other criminal activity worldwide, but also into Hezbollah’s illicit conspiracies with top officials in the Iranian, Syrian, Venezuelan and Russian governments — all the way up to presidents Nicolas Maduro, Assad and Putin, according to former task force members and other current and former U.S. officials. DEA agent overseeing Hezbollah cases at Special Operations Division, who named task force Project Cassandra after clashes with other U.S. agencies about Hezbollah drug-terror links., the veteran DEA supervisory agent who created and led the task force, were transferred to other assignments. And Asher himself left the task force long before that, after the Defense Department said his contract would not be renewed. From its headquarters in the Middle East, Hezbollah extends its criminal reach to Latin America, Africa and the United States. A Hezbollah mastermind who oversaw its international operations and, the DEA says, its drug trafficking, as head of its military wing, the Islamic Jihad Organization. ’s car as he was leaving a celebration of the 29th anniversary of the Iranian revolution in Damascus, Syria. He was killed instantly. It was a major blow to Hezbollah, but soon after, wiretapped phone lines and other U.S. evidence showed that his criminal operation was busier than ever, and overseen by two trusted associates, according to interviews with former Project Cassandra officials and DEA documents. Lebanese businessman, alleged co-leader of Hezbollah Business Affairs Component and key figure directly tying Hezbollah’s commercial and terrorist activities.. The other, the interviews and documents reveal, was Safieddine, the key link between Hezbollah — which was run by his cousin, Hassan Nasrallah and his own brother Hashem — and Iran, Hezbollah’s state sponsor, which saw the group as its strategic ally in defending Shiite Muslims in the largely Sunni Muslim states that surrounded it. Investigators were also homing in on several dozen key players underneath them who acted as “superfacilitators” for the various criminal operations benefitting Hezbollah, Iran and, at times, their allies in Iraq, Syria, Venezuela and Russia. But it was Safieddine, a low-key, bespectacled man with a diplomatic bearing, who was their key point of connection from his base in Tehran, investigators believed. Accused drug kingpin and financier whose vast network allegedly smuggled tons of cocaine into the U.S. with Mexico’s Zetas cartel and laundered money..
network rang alarm bells in Washington when agents discovered he was working with Mexico’s brutal Los Zetas cartel to move multi-ton loads of cocaine directly into the United States, and washing $200 million a month in criminal proceeds with the help of 300 or so used car dealerships. 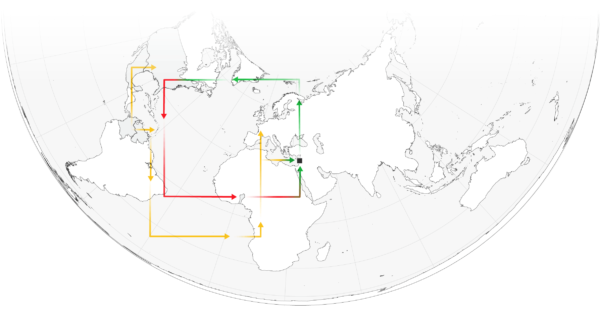 The network would funnel huge amounts of money to the dealerships to purchase used cars, which would then be shipped to Benin, on Africa’s west coast. Veteran U.S. illicit finance expert sent from Pentagon to Project Cassandra to attack the alleged Hezbollah criminal enterprise., the Defense Department official, who was at Special Operations Command tracking the money used to provide ragtag Iraqi Shiite militias with sophisticated weapons for use against U.S. troops, including the new and lethal IED known as the “Explosively Formed Penetrator.” The armor-piercing charges were so powerful that they were ripping M1 Abrams tanks in half. Asher’s curiosity had been piqued by evidence linking the IED network to phone numbers intercepted in the Colombia investigation. Before long, he traced the unusual alliance to a number allegedly used by Safieddine in Iran. — David Asher on Abdallah Safieddine. Thanks to that chance connection, the Pentagon’s then-head of counternarcotics, William Wechsler, lent Asher and a few other Defense Department experts in tracking illicit money to the DEA to see what they might find. It was a fruitful partnership. Asher was accustomed to toiling in the financial shadows. During his 20-plus years of U.S. government work, his core expertise was in exposing money laundering and schemes to avoid financial sanctions by rogue nation states, terrorist groups, organized-crime cartels and weapons proliferation networks. Usually, his work was strictly classified. For Project Cassandra, however, he got special dispensation from the Pentagon to build networks of unclassified information so it could be used in criminal prosecutions. Asher and his team quickly integrated cutting-edge financial intelligence tools into the various DEA investigations. With the U.S. military’s help, agents translated thousands of hours of intercepted phone conversations from Colombia in Arabic that no one had considered relevant until the Hezbollah links appeared. Hezbollah’s longtime envoy to Iran who allegedly oversaw the group’s “Business Affairs Component” involved in international drug trafficking. as a human hub of a criminal enterprise with spokes emanating from Tehran outward into Latin America, Africa, Europe and the United States via hundreds of legitimate businesses and front companies. Safieddine did not respond to requests for comment through various intermediaries including Hezbollah’s media arm. A Hezbollah official, however, denied that the organization was involved in drug dealing. Safieddine’s cousin Nasrallah, the Hezbollah leader, has publicly rejected the idea that Hezbollah needs to raise money at all, through drugs or any other criminal activity, because Iran provides whatever funds it needs. — Abdallah Safieddine to Agence France-Presse in 2005. Safieddine may have been right. Agents found evidence that weapons were flowing to Hezbollah from many channels, including networks that trafficked in both drugs and weapons. And using the same trafficking networks that hummed with drugs, cash and commercial products, agents concluded, Safieddine was overseeing Hezbollah efforts to help Iran procure parts and technology for its clandestine nuclear and ballistic missile programs. — Jack Kelly on Abdallah Safieddine. The Bush administration had made disrupting the networks through which Iran obtained parts for its weapons of mass destruction programs a top priority, with then-Deputy National Security Adviser Juan Zarate personally overseeing an interagency effort to map out the procurement channels. A former Justice Department prosecutor, Zarate understood the value of international law enforcement operations, and put DEA’s Special Operations Division at the center of it. But even then, other agencies were chafing at the DEA’s role. Much of the early turbulence stemmed from an escalating turf battle between federal law enforcement and intelligence agencies over which ones had primacy in the global war on terrorism, especially over a so-called hybrid target like Hezbollah, which was both a criminal enterprise and a national security threat. The “cops” from the FBI and DEA wanted to build criminal cases, throw Hezbollah operatives in prison and get them to turn on each other. That stoked resentment among the “spooks” at the CIA and National Security Agency, who for 25 years had gathered intelligence, sometimes through the painstaking process of having agents infiltrate Hezbollah, and then occasionally launching assassinations and cyberattacks to block imminent threats. Further complicating the picture was the role of the State Department, which often wanted to quash both law-enforcement actions and covert operations due to the political backlash they created. Hezbollah, after all, was a leading political force in Lebanon and a provider of human services, with a sincere grass-roots following that wasn’t necessarily aware of its unsavory actions. Nowhere was the tension between law enforcement and diplomacy more acute than in dealings with Hezbollah, which was fast becoming a key part of the Lebanese government. Distrust among U.S. agencies exploded after two incidents brought the cops-spooks divide into clear relief. 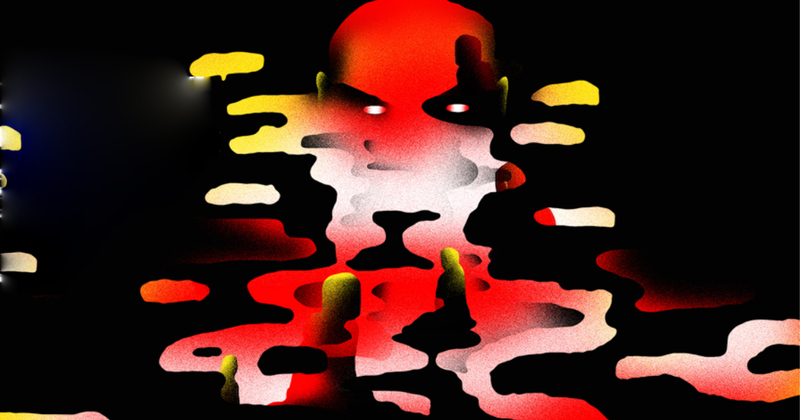 In the waning days of the Bush administration, a DEA agent’s cover was blown just as he was about to become a Colombian cartel’s main cocaine supplier to the Middle East — and to Hezbollah operatives. Hezbollah’s longtime envoy to Iran who allegedly oversaw the group’s “Business Affairs Component” involved in international drug trafficking. and other Hezbollah operatives in a scheme to procure 1,200 Colt M4 military-grade assault rifles. In both cases, law enforcement agents suspected that Middle East-based spies in the CIA had torpedoed their investigations to protect their politically sensitive and complicated relationship with Hezbollah. The CIA declined to comment on the allegation that it intentionally blew the cover of a DEA agent or any other aspect of its relationship with Project Cassandra. The Obama State Department and Justice Department also declined to comment in response to detailed requests about their dealings with Hezbollah. But the tensions between those agencies and the DEA were no secret. Some current and former diplomats and CIA officers, speaking on condition of anonymity, portrayed DEA Special Operations agents as undisciplined and overly aggressive cowboys with little regard for the larger geopolitical picture. “They’d come in hot to places like Beirut, want to slap handcuffs on people and disrupt operations we’d been cultivating for years,” one former CIA case officer said. — Former CIA case officer on how the DEA operated. DEA agent overseeing Hezbollah cases at Special Operations Division, who named task force Project Cassandra after clashes with other U.S. agencies about Hezbollah drug-terror links. and other agents embraced their swashbuckling reputation, claiming that more aggressive tactics were needed because the CIA had long turned a blind eye to Hezbollah’s criminal networks, and even cultivated informants within them, in a misguided and myopic focus on preventing terrorist attacks. Veteran U.S. illicit finance expert sent from Pentagon to Project Cassandra to attack the alleged Hezbollah criminal enterprise. and their team also rankled some of their fellow law-enforcement agents within the FBI, the Justice Department and even the DEA itself. The more Kelly and Asher insisted that everyone else was missing the drug-crime-terror nexus, the more others accused them — and their team out at Chantilly — of inflating those connections to expand the task force’s portfolio, get more funding and establish its importance. After a few years of working together on the Hezbollah cases, Kelly and Asher had become a familiar sight in the never-ending circuit of meetings and briefings in what is known as the “interagency process,” a euphemism for the U.S. national security community’s efforts to bring all elements of power to bear on a particular problem. From outward appearances, the two made an unusual pair. Kelly, now 51, was a streetwise agent from small-town New Jersey who cut his teeth investigating the Mafia and drug kingpins. He spent his infrequent downtime lifting weights, watching college football and chilling in cargo shorts. Asher, 49, speaks fluent Japanese, earned his Ph.D. in international relations from Oxford University and has the pallor of a senior government official who has spent the past three decades in policy meetings, classified military war rooms and diplomatic summits. Both were described by supporters and detractors alike as having a similarly formidable combination of investigative and analytical skills, and the self-confidence to match it. At times, and especially on Project Cassandra, their intensity worked to the detriment of their careers. I appreciate the tremendous support DEA management has given to Operation Titan. And I understand that its felt we have no options left. Let me clearly lay out what I think are the tremendous implications of what has occurred and then I will leave you guys alone. A joint investigation with Colombian authorities into a global money-laundering and drug-trafficking alliance between Latin American traffickers and Lebanese operatives., the DEA initiative in Colombia. After its undercover agent was compromised, DEA and Colombian authorities scrambled to build cases against as many as 130 traffickers, including a Colombian cartel leader and a suspected Safieddine associate named Chekry Harb, nicknamed El Taliban. For months afterward, the Justice Department rebuffed requests by task force agents, and some of its own prosecutors, to add narcoterrorism charges to the drug and money-laundering counts against Harb, several sources involved in the case said. Agents argued that they had evidence that would easily support the more serious charges. Moreover, Harb’s prosecution was an essential building block in their larger plan for a sustained legal assault against Hezbollah’s criminal network. The Racketeer Influenced and Corrupt Organizations Act increases the severity of penalties for crimes committed in as part of organized crime., a powerful tool used by the Justice Department against sophisticated international conspiracies, including the Mafia, drug cartels and white-collar corporate crimes. A RICO case would give the task force the ability to tie many seemingly unconnected conspiracies together, and prosecute the alleged bosses overseeing them, like Safieddine, participants say. It would also allow authorities to seize potentially billions in assets, they say, and to use the threat of far longer prison terms to wring more cooperation out of Harb and others already charged or convicted. After the Justice Department’s final refusal to bring narcoterrorism charges against Harb, Kelly sent an angry email to the DEA leadership warning that Justice’s “obstruction” would have “far reaching implications including threats to our National Security” given Hezbollah’s mushrooming criminal activity. Of particular concern: A 25–year-old Lebanese man that Kelly described as the network’s “command and control element,” according to the email. Hezbollah’s longtime envoy to Iran who allegedly oversaw the group’s “Business Affairs Component” involved in international drug trafficking.’s son, and said he acted as his father’s liaison in Beirut. All of that information was shared with other law enforcement and intelligence agencies — and the White House — via the DEA’s Chantilly nerve center. But by early 2009, Obama’s national security team batted down Project Cassandra’s increasingly urgent warnings as being overly alarmist, counterproductive or untrue, or simply ignored them, according to Kelly, Asher, Maltz and other participants in and out of government. By following the money, though, Asher had become convinced that the task force wasn’t overhyping the threat posed by Hezbollah’s criminal activities, it was significantly underestimating it. Because Hezbollah’s drug trafficking was bankrolling its Islamic Jihad military wing and joint ventures with Iran, as Asher would later testify before Congress, it represented “the largest material support scheme for terrorism operations” the world had ever seen. Both resident and nonresident deposits grew despite war and global financial crisis, suggesting to investigators that drug proceeds were flooding the financial system. would often bring PowerPoints to interagency drug and crime meetings, showing how cash reserves of U.S currency in Lebanon had doubled, to $16 billion, in just a few years, and how shiny new skyscrapers were popping up around Beirut, just like Miami, Panama City, Panama, and other cities awash in drug money. Privately, Asher began to tell task force colleagues, the best way to take down the entire criminal enterprise — especially such a politically sensitive one as Hezbollah — was to go after its money, and the financial institutions assisting it. Their first target would be one of the world’s fastest-growing banks, the Beirut-based Lebanese Canadian Bank and its $5 billion in assets. Asher knew how to successfully implode the financial underpinnings of an illicit, state-sponsored trafficking network because he’d already done it, just a few years earlier, as the Bush administration’s point man on North Korea. In that case, he used the post-9/11 PATRIOT Act to cut off Pyongyang by going after Banco Delta Asia, a Macau-based bank that made illicit financial transactions on behalf of the North Korean regime. Accused drug kingpin and financier whose vast network allegedly smuggled tons of cocaine into the U.S. with Mexico’s Zetas cartel and laundered money.’s network alone was laundering $200 million per month in “bulk proceeds of drug sales” through the bank and various money exchange houses, according to Justice and Treasury department documents. Much of the freshly laundered cash, the records show, was then wired to about 300 U.S. used-car dealers to buy and ship thousands of vehicles to West Africa. Task force agents also documented how Safieddine was a financial liaison providing Hezbollah — and, of potentially huge significance, Iran — with VIP services at the bank, including precious access to the international financial system in violation of U.S. sanctions, according to those records. By then, the task force was working closely with federal prosecutors in a new Terrorism and International Narcotics Unit out of the Justice Department’s Southern District of New York. The Manhattan prosecutors agreed to file criminal charges against the bank and two senior officials that they hoped to turn into cooperating witnesses against Hezbollah and Safieddine, several participants said. The Racketeer Influenced and Corrupt Organizations Act increases the severity of penalties for crimes committed in as part of organized crime. case, they say. The Obama White House said privately that it feared a broader assault on Lebanese financial institutions would destabilize the country. But without the threat of prison time, complicit bank officials clammed up. And without pressure on the many other financial institutions in Lebanon and the region, Hezbollah simply moved its banking business elsewhere. “You don’t know the half of it,” the prosecutor replied, according to Kelly. “Right now, we have 50 FBI agents not doing anything because they know their Iran cases aren’t going anywhere,” including investigations around the U.S. into allegedly complicit used-car dealers. — Jack Kelly on what a Justice Department official told him about the chilling effect of Obama’s rapprochement with Iran. Justice Department officials involved, including then-U.S. Attorney Preet Bharara and other prosecutors, declined requests to discuss the bank case or others involving Hezbollah. That October, Asher helped uncover a plot by two Iranian agents and a Texas-based Iranian-American to hire Mexican cartel gunmen to assassinate Saudi Arabia’s U.S. ambassador in a crowded Washington cafe. A month later, prosecutors indicted Joumaa, accusing him of working with Mexico’s Zetas cartel and Colombian and Venezuelan suppliers to smuggle 85 tons of cocaine into the U.S., and laundering $850 million in drug proceeds. Joumaa aka “Junior” allegedly coordinated the transport, distribution and sales of multi-ton shipments of cocaine. He’s also accused of laundering money in the U.S., Lebanon, Benin, Panama, Colombia and the Democratic Republic of Congo. Task force agents hoped those cases would win them the political support needed to attack the Hezbollah criminal network and its patrons in Tehran. Instead, the opposite appeared to be happening. DEA officials weren’t included in the Justice and FBI news conference on the assassination plot, and claim it was because the Obama White House wanted to downplay the drug-terror connection. 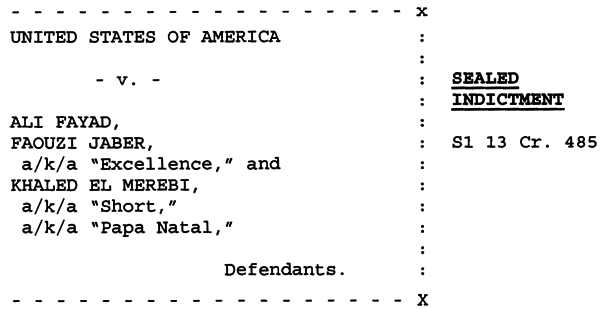 And Joumaa’s indictment didn’t mention Hezbollah once, despite DEA evidence of his connections to the group dating back to 1997. By the end of 2012, senior officials at the Justice Department’s National Security and Criminal divisions, and at the State Department and National Security Council, had shut down, derailed or delayed numerous other Hezbollah-related cases with little or no explanation, according to Asher, Kelly, Maltz and other current and former participating officials. Agents discovered “an entire Quds force network” in the U.S., laundering money, moving drugs and illegally smuggling Bell helicopters, night-vision goggles and other items for Iran, Asher said. “We crashed to indict” the elite Iranian unit, and while some operatives were eventually prosecuted, other critically important indictments “were rejected despite the fact that we had excellent evidence and testifying witnesses,” said Asher, who helped lead the investigation. Hezbollah’s longtime envoy to Iran who allegedly oversaw the group’s “Business Affairs Component” involved in international drug trafficking. as the Hezbollah official sitting behind a smoked-glass barricade who approved the assault weapons deal. And an agent and prosecutor had flown to a remote Asian hotel and spent four days persuading another eyewitness to testify about Safieddine’s role in an even bigger weapons and drugs conspiracy, multiple former law enforcement officials confirmed to POLITICO. Justice Department officials declined to comment on the case. Kelly had been searching for an appropriate DEA code name to give to collaborating agencies so they could access and contribute to task force investigative files. He found it while reading the Erik Larson book “In the Garden of Beasts,” in which the former U.S. ambassador to Germany named his U.S. speaking tour about the growing Nazi menace after the famous mythological figure whose warnings about the future were unheeded. Now the project had its name: Cassandra. After Obama won reelection in November 2012, the administration’s pushback on Hezbollah drug cases became more overt, and now seemed to be emanating directly from the White House, according to task force members, some former U.S. officials and other observers. Lisa Monaco replaced John Brennan as the White House counterterrorism and homeland security adviser., as Brennan’s replacement as White House counterterrorism and homeland security adviser, put two more strong proponents of diplomatic engagement with Iran in key positions. Another factor was the victory of reformist candidate Hassan Rouhani as president of Iran that summer, which pushed the talks over a possible nuclear deal into high gear. The administration’s eagerness for an Iran deal was broadcast through so many channels, task force members say, that political appointees and career officials at key agencies like Justice, State and the National Security Council felt unspoken pressure to view the task force’s efforts with skepticism. One former senior Justice Department official confirmed to POLITICO that some adverse decisions might have been influenced by an informal multi-agency Iran working group that “assessed the potential impact” of criminal investigations and prosecutions on the nuclear negotiations. Monaco was a particularly influential roadblock at the intersection of law enforcement and politics, in part due to her sense of caution, her close relationship with Obama and her frequent contact with her former colleagues at the Justice Department’s National Security Division, according to several task force members and other current and former officials familiar with its efforts. Lisa Monaco replaced John Brennan as the White House counterterrorism and homeland security adviser., said the administration was concerned about retaliatory terrorist or military actions by Hezbollah, task force members said. “That was the established policy of the Obama administration internally,” one former senior Obama national security official said, in describing the reluctance to go after Hezbollah for fear of reprisal. He said he criticized it at the time as being misguided and hypocritical. “We’re obviously doing those actions against al Qaeda and ISIS all the time,” the Obama official said. “I thought it was bad policy [to refrain from such actions on Hezbollah] that limited the range of options we had,” including criminal prosecutions. Monaco declined repeated requests for comment, including detailed questions sent by email and text, though a former White House subordinate of hers rejected the task force members’ description of her motives and actions. Brennan also told POLITICO he was not commenting on any aspect of his CIA tenure. His former associates, however, said that he remained committed to preventing Hezbollah from committing terrorist acts, and that his decisions were based on an overall concern for U.S. security. For their part, task force agents said they tried to work around the obstacles presented by the Justice and State Departments and the White House. Often, they chose to build relatively simple drug and weapons cases against suspects rather than the ambitious narcoterrorism prosecutions that required the approval of senior Justice Department lawyers, interviews and records show. The Racketeer Influenced and Corrupt Organizations Act increases the severity of penalties for crimes committed in as part of organized crime. case and gain Justice Department support for it. Their ace in the hole, Kelly and Asher said they told Justice officials, wasn’t some dramatic drug bust, but thousands of individual financial transactions, each of which constituted an overt criminal act under RICO. Much of this evidence grew out of the Lebanese Canadian Bank investigation, including details of how an army of couriers for years had been transporting billions of dollars in dirty U.S. cash from West African car dealerships to friendly banks in Beirut. The couriers would begin their journeys at a four-star hotel in Lome, Togo, lugging suitcases stuffed with as much as $2 million each, Kelly said. And the task force was on the tail of every one of them, he said, thanks to an enterprising DEA agent who had found a way to get all of their cellphone numbers. “They had no idea what we were doing,” Kelly said. “But that alone gave us all the slam-dunk evidence we needed” for a RICO case against everyone involved in the conspiracy, including Hezbollah. The couriers were lugging suitcases stuffed with as much as $2 million each, and the task force was on the tail of every one of them. Such on-the-ground spadework, combined with its worldwide network of court-approved communications intercepts, gave Project Cassandra agents virtual omniscience over some aspects of the Hezbollah criminal network. And from their perch in Chantilly, they watched with growing alarm as Hezbollah accelerated its global expansion that the drug money helped finance. Iran and Hezbollah began making similar moves into Yemen and other Sunni-controlled countries. And their networks in Africa trafficked not just in drugs, weapons and used cars but diamonds, commercial merchandise and even human slaves, according to interviews with former Project Cassandra members and Treasury Department documents. Hezbollah and the Quds force also were moving into China and other new markets. But Project Cassandra’s agents were most alarmed, by far, by the havoc Hezbollah and Iran were wreaking in Latin America. In the years after the 9/11 terrorist attacks, when Washington’s focus was elsewhere, Hezbollah and Iran cultivated alliances with governments along the “cocaine corridor” from the tip of South America to Mexico, to turn them against the United States. The strategy worked in Bolivia, Ecuador and Venezuela, which evicted the DEA, shuttering strategic bases and partnerships that had been a bulwark in the U.S. counternarcotics campaign. In Venezuela, President Hugo Chavez was personally working with then-Iranian president, Mahmoud Ahmadinejad, and Hezbollah on drug trafficking and other activities aimed at undermining U.S. influence in the region, according to interviews and documents. Within a few years, Venezuelan cocaine exports skyrocketed from 50 tons a year to 250, much of it bound for American cities, United Nations Office of Drugs and Crime statistics show. And beginning in 2007, DEA agents watched as a commercial jetliner from Venezuela’s state-run Conviasa airline flew from Caracas to Tehran via Damascus, Syria, every week with a cargo-hold full of drugs and cash. They nicknamed it “Aeroterror,” they said, because the return flight often carried weapons and was packed with Hezbollah and Iranian operatives whom the Venezuelan government would provide with fake identities and travel documents on their arrival. From there, the operatives spread throughout the subcontinent and set up shop in the many recently opened Iranian consulates, businesses and mosques, former Project Cassandra agents said. But when the Obama administration had opportunities to secure the extradition of two of the biggest players in that conspiracy, it failed to press hard enough to get them extradited to the United States, where they would face charges, task force officials told POLITICO. One was Syrian-born Venezuelan businessman Walid Makled, alias the “king of kingpins,” who was arrested in Colombia in 2010 on charges of shipping 10 tons of cocaine a month to the United States. While in custody, Makled claimed to have 40 Venezuelan generals on his payroll and evidence implicating dozens of top Venezuelan officials in drug trafficking and other crimes. He pleaded to be sent to New York as a protected, cooperating witness, but Colombia — a staunch U.S. ally — extradited him to Venezuela instead. — Kelly on the extradition of a top Venezuelan official and a drug kingpin. Instead, Venezuela was now the primary pipeline for U.S.-bound cocaine, thanks in part to the DEA’s success in neighboring Colombia. It had also become a strategically invaluable staging area for Hezbollah and Iran in the United States’ backyard, including camps they established to train Shiite militias. One of the most mysterious alleged associates of Safieddine, secretly indicted by the U.S., linked to multi-ton U.S.-bound cocaine loads and weapons shipments to Middle East., another suspected Safieddine associate so elusive that no photos of him were said to exist. 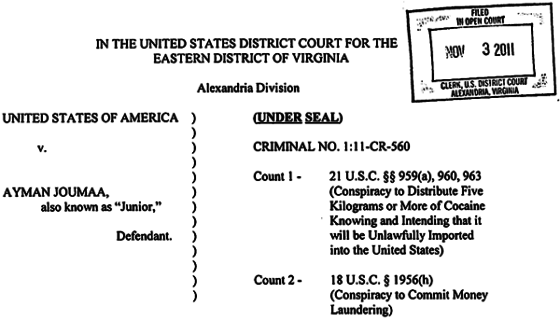 Project Cassandra agents came to regard the Ghost as perhaps the most important on-the-ground operator in the conspiracy because of his suspected role in moving drugs, money and munitions, including multi-ton loads of cocaine, into the United States, and WMD components to the Middle East, according to two former senior U.S. officials. Accused drug kingpin and financier whose vast network allegedly smuggled tons of cocaine into the U.S. with Mexico’s Zetas cartel and laundered money. were living in Beirut, and Project Cassandra agents were so familiar with their routines that they knew at which cafe the two men gathered every morning to drink espresso and “discuss drug trafficking, money laundering and weapons,” one of the two former officials said. (aka Fayyad). Ukraine-based arms merchant suspected of being a Hezbollah operative moving large amounts of weapons to Syria., who had long been instrumental in providing weapons to Shiite militias in Iraq, including through the deadly IED network that had killed so many U.S. troops, the former officials believed. Vladimir Putin’s arms dealer, known as the “Lord of War.” Convicted of conspiracy to sell millions of dollars worth of weapons to Colombian narcoterrorists.’s place as Putin’s go-to arms merchant, the former officials said. So when Fayad’s name surfaced in a DEA investigation in West Africa as a senior Hezbollah weapons trafficker, agents scrambled to create a sting operation, with undercover operatives posing as Colombian narcoterrorists plotting to shoot down American government helicopters. Fayad was happy to offer his expert advice, and after agreeing to provide them with 20 Russian-made shoulder-fired Igla surface-to-air missiles, 400 rocket-propelled grenades and various firearms and rocket launchers for $8.3 million, he was arrested by Czech authorities on a U.S. warrant in April 2014, U.S. court records show. The Fayad sting — and his unprecedented value as a potential cooperating witness — was just one of many reasons Project Cassandra members had good cause, finally, for optimism. As negotiations for the Iran nuclear deal intensify, the administration pushes back against Project Cassandra. DEA agent overseeing Hezbollah cases at Special Operations Division, who named task force Project Cassandra after clashes with other U.S. agencies about Hezbollah drug-terror links. and Asher about whether Hezbollah fully controlled a global criminal network, especially in drug trafficking and distribution, or merely profited from crimes by its supporters within the global Lebanese diaspora. But Project Cassandra’s years of relentless investigation had produced a wealth of evidence about Hezbollah’s global operations, a clear window into how its hierarchy worked and some significant sanctions by the Treasury Department. Hezbollah “has at its disposal one of the most capable networks of actors coalescing elements of transnational organized crime with terrorism in the world,” the assessment concluded. Some top U.S. military officials shared those concerns, including the four-star generals heading U.S. Special Operations and Southern commands, who warned Congress that Hezbollah’s criminal operations and growing beachhead in Latin America posed an urgent threat to U.S. security, according to transcripts of the hearings. In early 2014, Kelly and other task force members briefed Attorney General Eric Holder, who was so alarmed by the findings that he insisted Obama and his entire national security team get the same briefing as they formulated the administration’s Iran strategy. So task force leaders welcomed the opportunity to attend a May 2014 summit meeting of Obama national security officials at Special Operations Command headquarters in Tampa, Florida. Task force leaders hoped to convince the administration of the threat posed by Hezbollah’s networks, and of the need for other agencies to work with DEA in targeting the growing nexus of drugs, crime and terror. Lisa Monaco replaced John Brennan as the White House counterterrorism and homeland security adviser., Obama’s counterterrorism adviser, expressed concerns about using RICO laws against top Hezbollah leaders and about the possibility of reprisals, according to several people familiar with the summit. Monaco’s former subordinate, speaking under on condition of anonymity, said the White House did not attempt to curb DEA-led efforts against Hezbollah because of the Iran deal. But the subordinate said the White House felt a need to balance the drug agency’s interests with those of other agencies who often disagreed with it. Veteran U.S. illicit finance expert sent from Pentagon to Project Cassandra to attack the alleged Hezbollah criminal enterprise. and others say they’d spent years gathering evidence for it, the task force members said. In addition, the briefings for top White House and Justice Department officials that had been requested by Holder never materialized, task force agents said. (Holder did not respond to requests for comment.) Also, a top intelligence official blocked the inclusion of Project Cassandra’s memo on the Hezbollah drug threat from being included in Obama’s daily threat briefing, they said. And Kelly, Asher and other agents said they stopped getting invitations to interagency meetings, including those of a top Obama transnational crime working group. That may have been because Obama officials dropped Hezbollah from the formal list of groups targeted by a special White House initiative into transnational organized crime, which in turn effectively eliminated DEA’s broad authority to investigate it overseas, task force members said. After the Tampa meeting, Project Cassandra leaders pushed – unsuccessfully, they said – for greater support from the Obama administration in extraditing Fayad from the Czech Republic to New York for prosecution, and in locating and arresting the many high-value targets who went underground after hearing news of his arrest. One of the most mysterious alleged associates of Safieddine, secretly indicted by the U.S., linked to multi-ton U.S.-bound cocaine loads and weapons shipments to Middle East., to improve the chances of catching them. And task force officials pushed the Obama team, also unsuccessfully, to use U.S. aid money and weapons sales as leverage to push Lebanon into adopting an extradition treaty and handing over all of the indicted Hezbollah suspects living openly in the country, they said. “There were ways of getting these guys if they’d let us,” Kelly said. Frustrated, he wrote another of his emails to DEA leaders in July 2014, asking for help. The email stated that the used-car money-laundering scheme was flourishing in the United States and Africa. The number of vehicles being shipped to Benin had more than doubled from December 2011 to 2014, he wrote, with one dealership alone receiving more than $4 million. And despite the DEA’s creation of a multi-agency “Iran-Hezbollah Super Facilitator Initiative” in 2013, Kelly said, only the Department of Homeland Security’s Customs and Border Patrol was sharing information and resources. Around this time, people outside Project Cassandra began noting that senior administration officials were increasingly suspicious of it. … The USG lack of action on this issue has allowed Hizballah to become one of the biggest Transnational Organized Crime groups in the world. As we have shown in our investigations the Super Facilitator network uses this criminal activity to provide massive support to the Iranian Hizballah Threat Network and other terror groups helping fuel conflict in some of the most sensitive regions in the world. Douglas Farah, a transnational crime analyst, said he tried to raise the Project Cassandra investigations with Obama officials in order to corroborate his own on-the-ground research, without success. “When it looked like the [nuclear] agreement might actually happen, it became clear that there was no interest in dealing with anything about Iran or Hezbollah on the ground that it may be negative, that it might scare off the Iranians,” said Farah. Asher, meanwhile, said he and others began hearing “from multiple people involved in the Iran discussions that this Hezbollah stuff was definitely getting in the way of a successful negotiation,” he said. One Obama national security official even said so explicitly in the same State Department meeting in which he boasted about how the administration was bringing together a broad coalition in the Middle East, including Hezbollah, to fight the Islamic State terrorist group, Asher recalled. Indeed, the United States was seeking Iran’s help in taking on the Islamic State. As the nuclear deal negotiations were intensifying ahead of a November 2014 diplomatic deadline, Obama himself secretly wrote to Iran’s supreme leader, Ayatollah Ali Khamenei, to say the two countries had a mutual interest in fighting Islamic State militants in Iraq and Syria, The Wall Street Journal reported. Kerry, who was overseeing the negotiations, rejected suggestions that the nuclear deal was linked to other issues affecting the U.S-Iranian relationship. — Secretary of State John Kerry to reporters. But even some former CIA officials said the negotiations were affecting their dealings in the Middle East and those of the DEA. DEA operations in the Middle East were shut down repeatedly due to political sensitivities, especially in Lebanon, according to one former CIA officer working in the region. He said pressure from the White House also prompted the CIA to declare “a moratorium” on covert operations against Hezbollah in Lebanon, too, for a time, after the administration received complaints from Iranian negotiators. — Former CIA officer on how intelligence operations were also impacted by negotiations with Iran. That allegation was contested vehemently by the former senior Obama national security official who played a role in the Iran nuclear negotiations. “That the Iranians would ask for a favor in this realm and that we would acquiesce is ludicrous,” he said. The Racketeer Influenced and Corrupt Organizations Act increases the severity of penalties for crimes committed in as part of organized crime. statute. That was the only way, he testified, for U.S. officials to “defeat narcoterrorism financing, including that running right through the heart of the American financial system,” as Hezbollah was doing with the used-cars scheme. The nuclear deal was signed in July 2015, and formally implemented on Jan. 17, 2016. A week later, almost two years after his arrest, Czech officials finally released Fayad to Lebanon in exchange for five Czech citizens that Hezbollah operatives had kidnapped as bargaining chips. For the task force, Fayad’s release was one of the biggest blows yet. Some agents told POLITICO that Fayad’s relationships with Hezbollah, Latin American drug cartels and the governments of Iran, Syria and Russia made him a critically important witness in any RICO prosecution and in virtually all of their ongoing investigations. One senior Obama administration official familiar with the case said it would be a stretch to link the Fayad case to the Iran deal, even if the administration didn’t lobby aggressively enough to have Fayad extradited to the United States. (aka Fayyad). Ukraine-based arms merchant suspected of being a Hezbollah operative moving large amounts of weapons to Syria. at the personal request of Putin, a close ally of both the Czech Republic and Iran, who had lobbied hard for his release in a series of phone calls like the ones Project Cassandra officials were hoping Obama would make. A week later, European authorities, working with the DEA and U.S. Customs and Border Patrol, arrested an undisclosed number of Hezbollah-related suspects in France and neighboring countries on charges of using drug trafficking money to procure weapons for use in Syria. This DEA press release is the first mention of Project Cassandra, and pinpoints seven countries involved in disrupting the flow of drug money to promote terrorist operations. Hezbollah’s longtime envoy to Iran who allegedly oversaw the group’s “Business Affairs Component” involved in international drug trafficking.’s name in the media releases. They wanted it in the public record, in case they had no further opportunity to expose the massive conspiracy they believed he had been overseeing. DEA agent overseeing Hezbollah cases at Special Operations Division, who named task force Project Cassandra after clashes with other U.S. agencies about Hezbollah drug-terror links., who was already in Paris awaiting the news conference, said European authorities told him the French didn’t want to offend Iran, which just 11 days after the nuclear deal implementation had agreed to buy 118 French Airbus aircraft worth about $25 billion. Two weeks later, after firing off another angry email or two, Kelly said he was told by his superiors that he was being transferred against his wishes to a gang unit at DEA headquarters. He retired months later on the first day he was eligible. Several other key agents and analysts also transferred out on their own accord, in some cases in order to receive promotions, or after being told by DEA leaders that they had been at the Special Operations Division for too long, according to Kelly, Asher, Maltz and others. Meanwhile, the administration was resisting demands that it produce a long-overdue intelligence assessment that Congress had requested as a way of finally resolving the interagency dispute over Hezbollah’s role in drug trafficking and organized crime. The White House delegated responsibility for the report to the office of the director of National Intelligence, prompting immediate accusations by the task force and its allies that the administration was stacking the deck against such a determination, and against Project Cassandra, given the intelligence community’s doubts about the DEA’s conclusions about Hezbollah’s drug-running. Former top Treasury financial intelligence official, FBI analyst whose book on Hezbollah and its global activities sounded early alarms about its drug trafficking., a former senior Treasury official, said of Hezbollah in an April 2016 policy paper for a Washington think tank. As expected, the administration’s final report, which remains classified, significantly downplayed Hezbollah’s operational links to drug trafficking, which in turn further marginalized the DEA’s role in fighting it, according to a former Justice Department official and others familiar with the report. An alleged top financier for Hezbollah, whose global business empire allegedly acted as a key source of funds for its global terror network., was arrested in Morocco — seven years after Treasury officials blacklisted him as a sponsor of terror — and flown to Washington to stand trial. Asher said task force agents had kept his case under wraps, hoping for a better outcome in whatever administration succeeded Obama’s. Venezuelan vice president involved in alleged decade-long drugs, weapons and fake passport conspiracy between Caracas government, Hezbollah and Iran. as a global narcotics kingpin, almost a decade after DEA agents became convinced he was Hezbollah’s point man within the Chavez, and then Maduro, regimes. Task force agents say they were frustrated that they couldn’t go after Tareck El Aissami and many other Venezuelan officials under Obama administration. Ironically, many senior career intelligence officials now freely acknowledge that the task force was right all along about Hezbollah’s operational involvement in drug trafficking. “It dates back many years,” said one senior Directorate of National Intelligence official. Meanwhile, Hezbollah — in league with Iran, Russia and the Assad regime — has all but overwhelmed the opposition groups in Syria, including those backed by the United States. Hezbollah continues to help train Shiite militants in other hotspots and to undermine U.S. efforts in Iraq, according to U.S. officials. It also continues its expansion in Latin America and, DEA officials said, its role in trafficking cocaine and other drugs into the United States. And it is believed to be the biggest trafficker of the powerful stimulant drug Captagon that is being used by fighters in Syria on all sides. Progress has been made on other investigations and prosecutions, current and former officials said. But after an initial flurry of interest in resurrecting Project Cassandra, the Trump administration has been silent on the matter. In all of the Trump administration’s public condemnations of Hezbollah and Iran, the subject of drug trafficking hasn’t come up. In West Africa, satellite imagery has documented that the Hezbollah used-car money-laundering operation is bigger than ever, Asher told lawmakers in recent testimony before the House Foreign Affairs Committee. Satellite images show the growth of used cars in lots close to Port of Cotonou in Benin. And Hezbollah continues to scout potential U.S. targets for attack if it decides Washington has crossed some red line against it or Iran. On June 1, federal authorities arrested two alleged Hezbollah operatives who were conducting “pre-operational surveillance” on possible targets for attack, including the FBI headquarters in New York and the U.S. and Israeli embassies in Panama. Working under pseudonyms, Hezbollah operatives carried out pre-operational surveillance in the U.S.
From at least 2009, Ali Mohamad Kourani aka “Jacob Lewis” and “Daniel,” allegedly staked out New York City airports to support anticipated terrorist attacks. “They are a global threat, particularly if the Trump relationships turn sour” with Iran, Syria and Russia, said Magnus Ranstorp, one of the world’s foremost Hezbollah experts. Ranstorp said U.S. intelligence officials believe that Hezbollah’s U.S.-based surveillance is far more extensive than has been publicly disclosed, and that they are particularly concerned about the battle-hardened operatives who have spent years on the ground in Syria. Senior DEA official who as head of Special Operations Division lobbied for support for Project Cassandra and its investigations., the longtime head of DEA Special Operations, who retired two months after the Tampa summit in 2014, has lobbied since then for better interagency cooperation on Hezbollah, to tackle both the terrorist threat and the criminal enterprise that underwrites it. Turf battles, especially the institutional conflict between law enforcement and intelligence agencies, contributed to the demise of Project Cassandra, Maltz said. But many Project Cassandra agents insist the main reason was a political choice to prioritize the Iranian nuclear agreement over efforts to crack down on Hezbollah.